SAN DIEGO, CA; January 25, 2017: EE Waianae Solar Project LLC, an affiliate of Eurus Energy America Corporation, has begun commercial operation of the largest solar photovoltaic (PV) generating facility in Hawaii, the 27.6-megawatt Waianae Solar Project on the island of Oahu. The facility was developed by Eurus Energy America and is owned jointly by affiliates of Eurus and Toyota Tsusho America Inc. Power from the facility will be sold to Hawaiian Electric Company under a 22-year power purchase agreement approved by the Hawaii Public Utilities Commission. “Eurus is committed to bringing highly viable renewable energy projects on-line in a responsible and timely manner to help the State of Hawaii meet its ambitious renewable energy goals” said Satoshi Takahata, president and CEO of Eurus Energy America. Eurus Energy America is the wholly owned subsidiary of Tokyo-based Eurus Energy Holdings (www.eurusenergy.com) and is responsible for North American renewable energy investment, now comprising nearly 700 MW megawatts in wind and solar power generation. 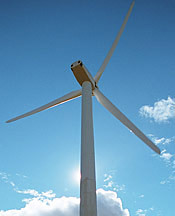 Eurus Energy Holdings is a global developer, owner and operator of renewable energy facilities, including both wind and solar, with more than 2,800 megawatts worldwide. Eurus Energy America, headquartered in San Diego, California, has been active in the renewable energy sector in the United States for some 30 years, beginning operations of its first renewable power projects in California in 1987.